The ambitious Clean Air Strategy demonstrates the growing momentum for improving our air quality. This is in part due to better understanding of the large amount of harm from air pollution and also the benefits of having a healthy environment for all of us to work, live and thrive in. I don’t want to downplay the great strides made in reducing air pollution in the UK. Yet whilst the London smogs of the 1950s have become a thing of the past air pollution remains the largest environmental risk to public health. 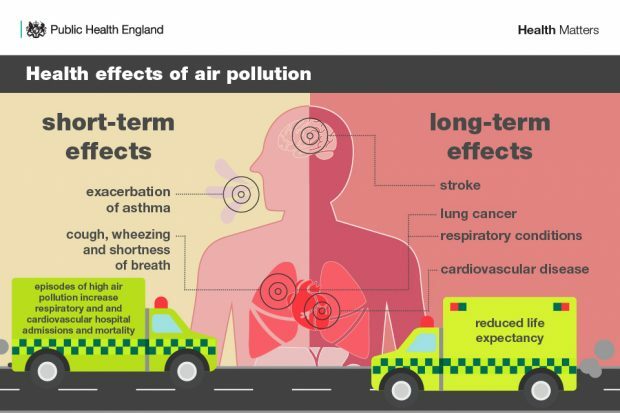 Walking, cycling and other forms of active travel are great for improving health and reducing air pollution, but too often people are put off by the risk of exposure to high concentrations of pollutants. 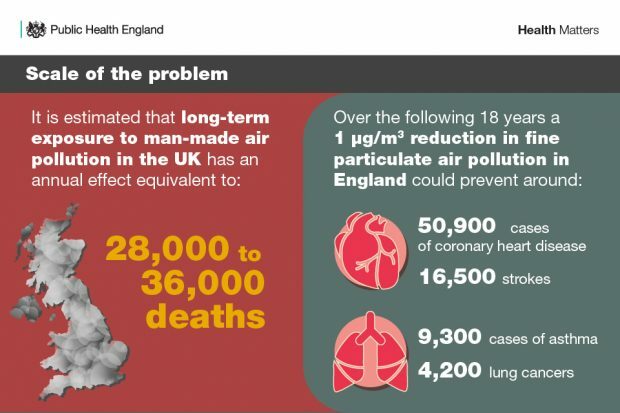 With an estimated effect equivalent to 28,000 – 36,000 deaths each year attributable to human-made air pollution in the UK, action is clearly needed. This strategy outlines the government’s plans to reduce emissions from transport, farming, industry and our own homes. If implemented comprehensively these measures will make a real contribution to improving our air quality. The strategy also highlights a simple truth: the means and technology are already available to make delivery of cleaner air feasible for all of us. So what is stopping us taking these steps? One reason I often hear is that these measures run counter to economic growth and development. My view is the opposite. Air quality and economic prosperity go hand in hand. As the Secretaries of State for Health and the Department for Environment, Food and Rural Affairs (DEFRA) highlighted in a newspaper article on Monday, cleaner air is good for business with fewer work days lost to sick leave. It also provides opportunities for UK industries to be on the cutting edge of cleaner technologies, creating skilled UK jobs and developing expertise here. The Secretary of State for Health is right to call air pollution a health emergency. None of us wish to put ourselves or our children at risk from the increasing number of conditions linked to poor air quality. We do want to live, bring up our children and be able to grow old in cleaner environments and as the Clean Air Strategy highlights it is entirely feasible for us to do so. As it outlines, action is needed at all levels and we all have a role to play in helping to make sure that the air that we, and future generations, breathe is clean. I and PHE will continue to support the government, local authorities and wider public health system to take the necessary action through our world class science and advice. Please join us in this effort. Read our Health Matters edition on air pollution which focuses on the health impacts that air pollution can have across a person’s lifetime, the associated health inequalities, and the current and future outlook both in terms of new cases of disease and NHS and social care costs attributable to air pollution. How can a government propose a clean air strategy whilst still supporting a new shale gas industry which is shown to produce increased VOC’s, particulates and ghg emissions? Please develop an overall, nationwide strategy that reduces emissions and improves air quality across all sectors of society: economy; energy provision; agriculture; transport etc and take positive steps to halt climate breakdown predicted by IPCC - a “direct existential threat”.